Police have established a dedicated armed robbery team at Winchester Police Station following a spate of armed robberies in recent months. ACT Criminal Investigations have created the team which will be led by Detective Sergeant John Giles and has been tasked with investigating current and historical armed robberies. A spokesperson for ACT Policing said the establishment of the armed robbery team comes because the number of robberies has increased. However, the spokesperson said that the team involves no new funding and no new personnel. Instead, she said that a “select few Crime members” will be focusing on the investigations. In the first 18 days of this month alone, there have already been police reports of aggravated robberies in Duffy, Pearce, Braddon and Florey, as well as an aggravated burglary in Braddon. 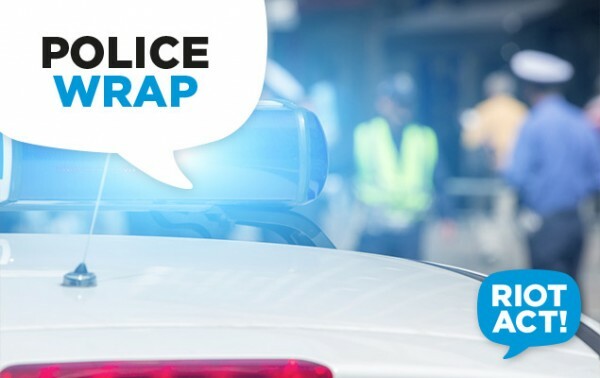 There was also an attempted aggravated robbery which left someone injured in Evatt and an attempted aggravated robbery of the IGA Supermarket in Isabella Plains which left a staff member injured. Last month saw the armed robbery of the Raiders Belconnen Club in Holt as well as several aggravated robberies. The decision to establish the team comes at the same time as news that a 24-year-old man alleged to have committed an aggravated robbery at the 5 Star Supermarket at Duffy shops on Friday, September 8 has been arrested in NSW. The police report at the time said that the man entered the supermarket with a knife and demanded cash from a staff member. He then fled the supermarket with the till in a Mitsubishi Pajero Sport or Challenger. Police state that items associated with the aggravated robbery were located in the man’s possession when he was arrested by NSW Police. The man is facing charges for similar offences in both NSW and Victoria. ACT Policing is planning to seek extradition for the man to face the ACT Magistrates Court in relation to the aggravated robbery. Police are urging anyone with information relating to the robbery to call Crimestoppers on 1800 333 000, or to contact them via the Crime Stoppers ACT website. Information can be reported anonymously. Have you been concerned about the spate of recent robberies and other crimes? Does more need to be done about it? Let us know your thoughts in the comments below.